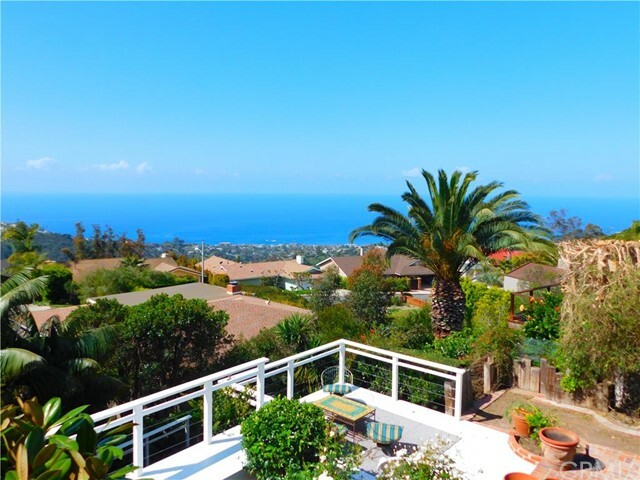 Enjoy expansive ocean views from this turnkey contemporary European farmhouse. Soaring ceilings and generous use of windows provide natural light throughout an open floor-plan. Over 3000sf including 4 Bedrooms and 3.5 Bathrooms plus a media-room and formal office/study. Brand new beautiful and warm wide-plank hardwood floors throughout the entire house. 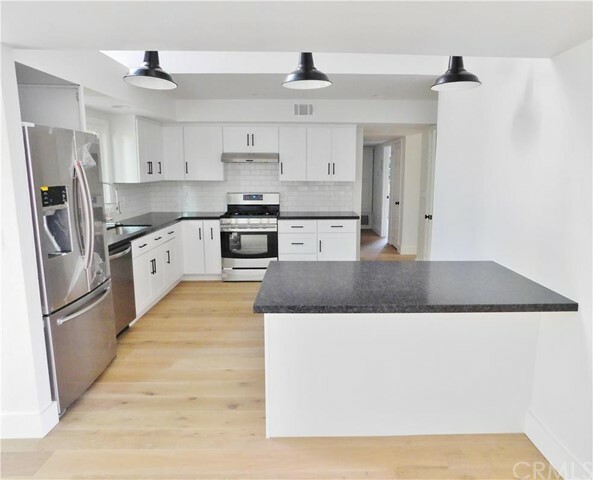 A bright-white fully equipped chefs kitchen with black granite counter-tops and high-grade stainless steel appliances including a built-in Monogram refrigerator. Luxuriously appointed Designer bathrooms featuring marble, granite and onyx. The ocean-view master suite has an open beam ceiling with french doors leading to a romantic and sun-splashed balcony. A deep-soaking tub and a over-sized marble shower highlight the master-bath. There is also a downstairs bedroom with an en-suite bathroom. Other features include a dramatic black and white staircase and elegant fireplaces in the living room and master bedroom. Large private patios and decks look out towards Catalina Island and provide gracious outdoor living and entertaining space. This is the house that has everything including a secluded grassy lower yard complete with a private yoga platform. Close to hiking trails, parks and great schools.